West Orange, NJ Rhinoplasty Specialist Recognized as Top Social Influencer in facial plastic surgery. When I started RealSelf, many doctors questioned why they should ‘give away’ their expertise ‘for free’ on the web. Now, eight years later — and with over one million doctor answers on our platform — we are proud of the standard this select group has set. 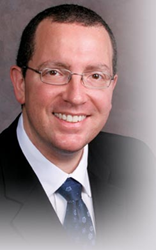 Local physician Eric M. Joseph, M.D. is one of 100 doctors in the nation to receive the prestigious RealSelf 100 Award, out of nearly 13,000 board certified specialists with a presence on RealSelf—the leading online community helping people make confident choices in elective cosmetic procedures. In a time when 1 in 4 U.S. adults share their health experiences on social media channels, the medical professionals that made the 2015 RealSelf 100 are recognized both for having an outstanding record of consumer feedback and for providing credible, valuable insights in response to consumer questions about elective cosmetic treatments, plastic surgery, dentistry and more. Eric M. Joseph has a private practice for seventeen years in West Orange, NJ specializing in Rhinoplasty, Teen Rhinoplasty, Ethnic Rhinoplasty, Revision Rhinoplasty, and Non-Surgical Rhinoplasty. He is also one of the few area surgeons experienced in the serial puncture, microdroplet technique of Silikon-1000 administration for nos-surgical permanent facial rejuvenation, and permanent Non-Surgical Rhinoplasty procedures. Eric M. Joseph, M.D. is an expert contributor to RealSelf, and to date has posted 2,500 answers to questions on RealSelf. Each month people from all over world ask important aesthetic-related questions, such as Rhinoplasty, Teen Rhinoplasty, Ethnic Rhinoplasty, Revision Rhinoplasty, and Non-Surgical Rhinoplasty. Dr. Joseph also maintains a patient star rating of five out of five stars in RealSelf reviews. For more information on Eric M. Joseph, M.D., please visit ericmjoseph.com, and for the full list of RealSelf 100 Award winners, visit http://www.realself.com/RS100.